Maseru (Agenzia Fides) - The inter regional meeting of Bishops of Southern Africa through its Social Department recently organised a Human Rights Centred Migration Management capacity building workshop to promote the observance of Human Rights for refugees and migrants. 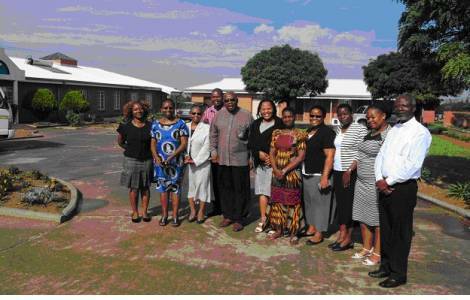 According to a statement sent to Agenzia Fides, the workshop participants were drawn from the recently formed Catholic women arm called Catholic Women in IMBISA: Inter Regional Meeting of the Bishops of Southern Africa, a body that brings together the Bishops of Botswana, Lesotho, Namibia, Mozambique, Swaziland and Botswana. The organization of women in IMBISA promotes women's participation on issues of governance and human rights, as they compose the majority of victims of abuse and violence as migrants and refugees.